I'm sure that many teachers reading this article can relate with the fact that many of the real world skills necessary for teaching and working in schools are not taught in college teacher programs. This is one of my biggest complaints about teacher programs. I did learn a lot about teaching theory, academic fundamentals, preparing single lesson plans, and gathering teacher resources in both my undergraduate and graduate programs. However, I did not learn a lot about real world skills, both for the classroom and for working in a school in general. I feel like this was especially true for special education, but that's a whole other topic. I will address more general teacher issues in this hub. I hope that this will be a valuable resource for all teachers, particularly those of you who are just starting out in the field. I have included as many resources here as I can, but there is not a lot out there on any of the aspects of working in a school that I've covered here. This is another reason why I was inspired to write this article. This is information that teachers really need! If anyone has any helpful resources for any of the following topics, please feel free to leave them in the comments. We did address this topic in a little detail in my graduate program where most students were currently teaching special education. I was able to swap stories and advice with a lot of my classmates as well as get some insight from my teachers. Keep in mind that conferences are not a time to bring up major problems or other big issues, particularly if you have not mentioned them to the parents previously. Most conference slots are only 10-15 minutes long. If you need to talk about an issue, discuss this with parents ahead of time and schedule a longer conference. Many conferences will go smoothly. 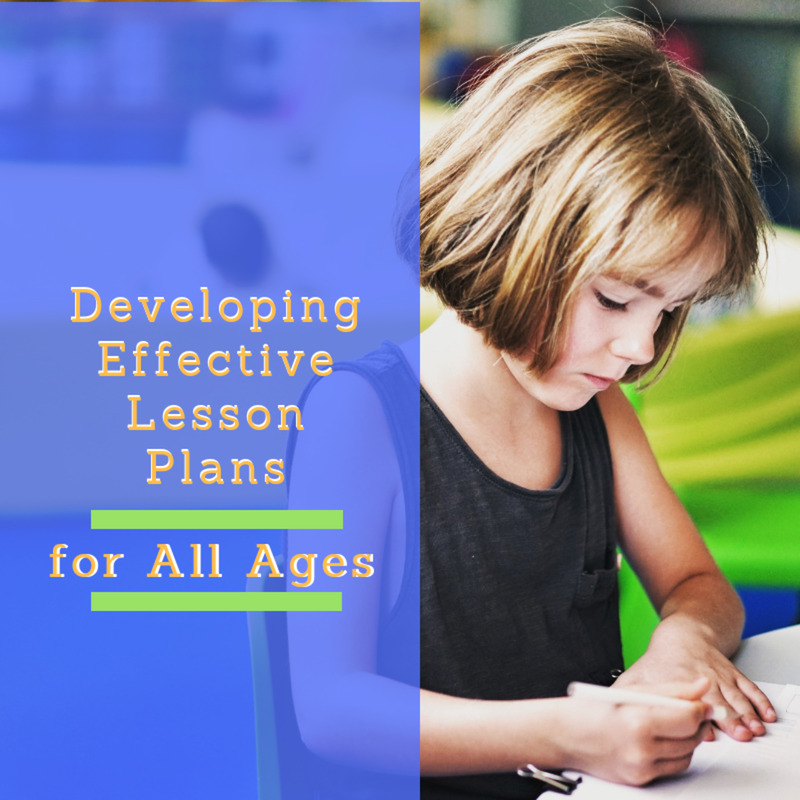 Parents will be satisfied with an overview of how things are going in the classroom that includes examples of work and positive attributes about their child. However, many teachers will have to prepare for at least one difficult conference. Most likely by the time you get to the first round of conferences, you will know which one this will be. If you are especially worried, have someone else there, such as a guidance counselor or principal. I also recommend having an escape call or page from the office or another conference immediately following that one. This will decrease the chances of things spiraling out of control and taking much longer than necessary. Tips for handling parent-teacher conferences, written by a retired teacher. I learned a lot about short term lesson planning, particularly in my undergrad program. I could write great single lesson plans. This is an important skill, but I had very little preparation for developing long term plans, which is just as important. You will get to develop this skill a little during student teaching, but typically this experience still doesn't encompass an entire school year. 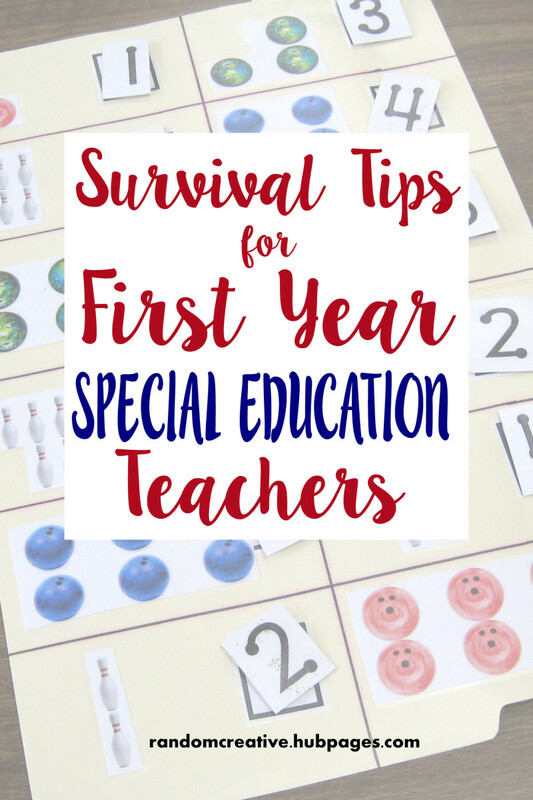 The same advice that I gave about planning for the first year of teaching special education applies to just about all first year teachers. There will be a lot of day to day planning your first year that you simply cannot avoid. However, it is still important to sit down at the beginning of each school year and develop a general plan for each subject. 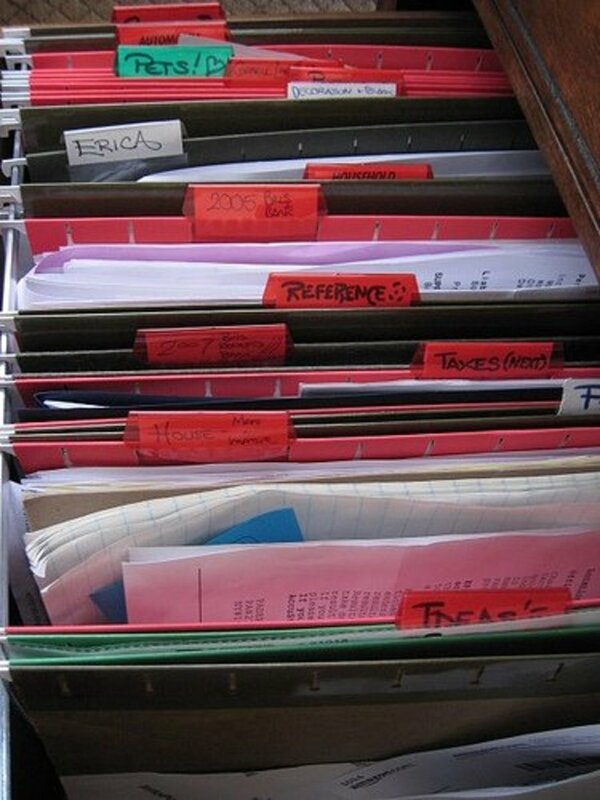 This includes outlining your units for each month and defining goals for the entire year. This can be really difficult for special education teachers who have multiple grade levels and/or multiple difficulty levels. At least make an outline for all areas that you will be teaching. This may still seem like an overwhelming process when you start, but it will get easier with subsequent years. It will also make the rest of the school year go more smoothly as you start to fill in weekly and daily plans within those bigger units. 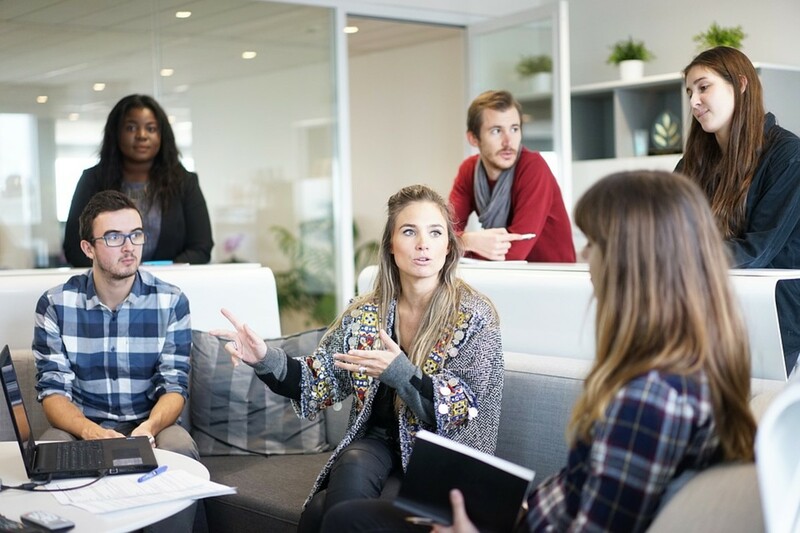 Anyone who has had a job in any type of setting with a secretary or secretaries knows just how useful they can be with more situations that you ever would have imagined. This is no exception in schools. Secretaries interact with more administrators, students, parents, and teachers than anyone else in the building throughout each week. They are a great go to resource for advice about any number of co-workers, parents, students, supplies, and much more. It is important to stay on good terms with your secretary because you never know she will be able to help you out. For example, a secretary is a great person to provide an "out" for you at the end of a difficult conference with a page to the office or a phone call. In the last building where I taught, we consistently ran out of white copy paper at the end of each school year. The secretary always saved an extra ream or two for the special education department's IEPs so we wouldn't be forced to provide our own paper. Thanks to a reader for this suggestion! Becoming friends with your custodian is such an important aspect of many jobs. Again, schools are no exception. There will be a number of occasions throughout a school year when you need a custodian to clean up or help you with an issue NOW. If you have established a good rapport with this person, he is much more likely to respond positively to these requests as well as day to day requests such as extra paper towels, more board cleaner, etc. Similar to secretaries, you never know when a custodian may be able to help you out with any number of random requests. When I left my last school, my custodian got the kitchen crew to help collect boxes for me both for packing up my classroom and packing up my and my husband's condo. We didn't have to pay for a single moving box for our move to Milwaukee. If you have had experiences with at least two different schools, you know that not all principals are the same. There is no single set of rules that applies to interacting with principals because their preferences, work styles, personalities, etc. can vary so much. Learn how and when to approach him. Develop a strong method for getting things accomplished with him. Depending on your principal, this may be very easy or it may takes weeks or months of patience, observation, and consultation with other staff. This same advice applies to other administrators and higher ups in your district or school system, particularly if you are part of a larger system. For example, you may deal more frequently with your curriculum director, education director, department head, etc. than you do with your principal. Working in a school makes the Principal Skinner and Superintendent Chalmers relationship that much funnier. Any primarily female work environment will come with a certain level of cattiness. The degree of the cattiness can vary widely, depending on a number of factors. Nonetheless, it is still an issue in many school settings. Be professional as much as possible. Try to stay away from cliques. I know that this can be very tough, especially if you are in a school with lots of tight teacher groups. It may involve a sacrifice of less work friends for the sake of a more professional reputation with your administrators and parents. Hopefully you will never be in a situation this extreme, but I have seen it happen on more than one occasion. Learn who you can go to for advice, resources, etc. Some fellow teachers and administrators are much more open to this than others. You will most likely learn who you can and can't go to within the first couple months of the school year. It is really important to know who will be an ally when you have tough situations. 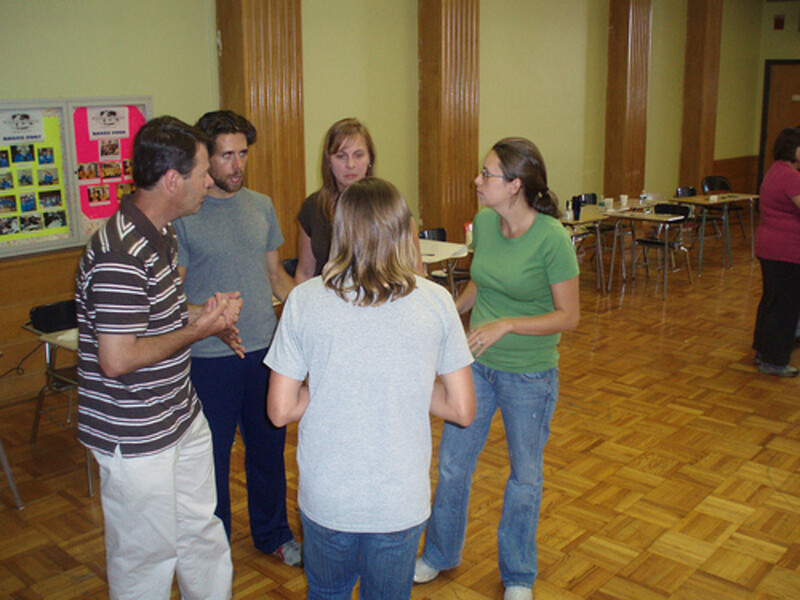 Almost all teachers will encounter situations that require advice from fellow teachers to address properly. Make sure that you know who you can trust. My undergrad program touched on this subject, but we were never given any solid advice or specifics about any systems. We were just given a general overview. Having never taught general education on my own, I don't have a lot of specific advice about this topic, particularly grade books. Most of my data keeping in special education revolve around the IEPs. It is important to develop a system for this data collection as well (see my survival tips article to get you started). There is no perfect system out there for grade books or planners. You need to find out what works best from you. Consult with other teachers in your school or elsewhere to see what they use and what they do and don't like. You will have to decide if you want to work with paper books or computer/online systems. You may need to try both to decide which you like better. Consider a daily planning template that you can use in Microsoft Word or a similar program. Once you have one developed, you can use it over and over again throughout the school year. Many teachers in my last school district, both general and special education, developed these type of templates. It is much easier to change plans in an electronic form for unexpected changes (i.e. fire alarms, special assemblies, late starts/early outs for weather, snow days) than a paper form. More teaching resources from the author. 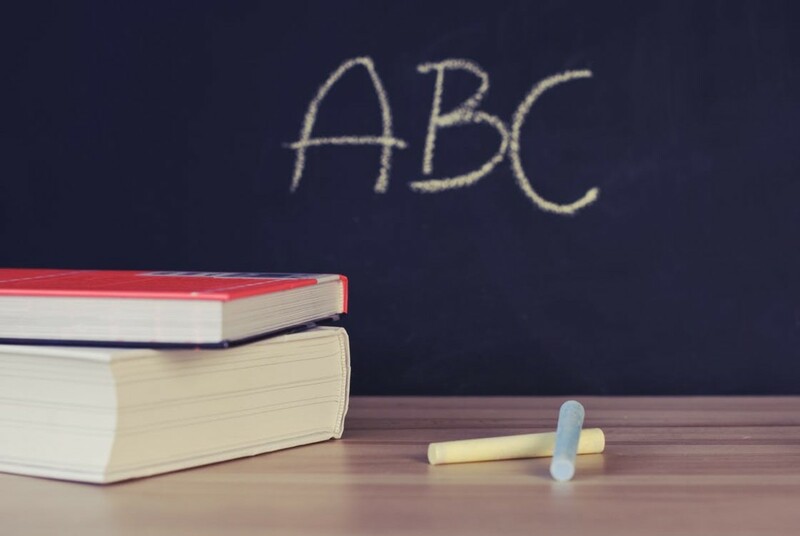 In this article, I discuss the teaching materials that I bought while teaching special education or inherited in my elementary school classroom and believe are worth purchasing. I include lots of resources for buying these materials. 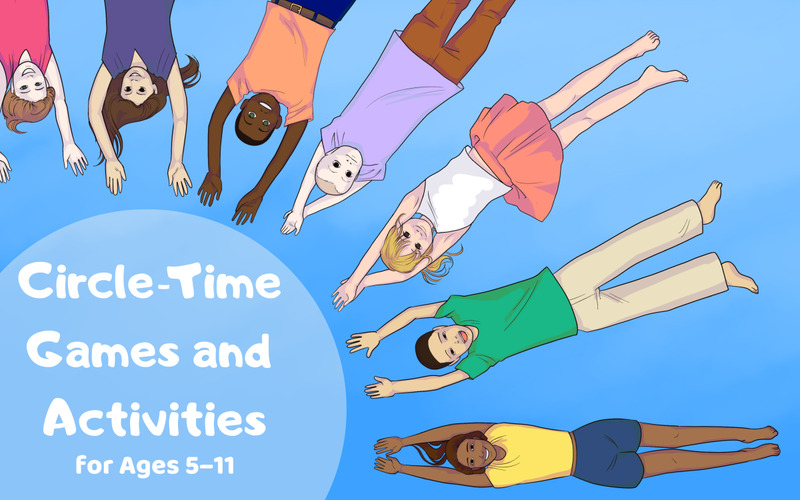 In this article, I provide lots of resources for parents and teachers who are creating picture schedules, visual cues, and pre-reading tools. There are lots of links and examples. It's great to get that confirmation, StardustOrdinaire! Thanks for the link. I love this hub! These are really some of the most important things a new teacher needs to know. I've included a link to this article in my hub. Well done! Thank you much, Kristen and Ruth! My Girl Sara, I'm sorry that you felt that it was out of line that I didn't address discipline in this article. You're right that most college programs do not give teachers the real world advice that they need to handle student discipline. However, I have also found that it's not something that can be taught to everyone. Many teachers who are successful with discipline have a natural way with it. I have the most enormous respect for teachers, well done! Voted up. Are you for real? The first thing you need to conquer before you get to ANY of those topics you talked about is DISCIPLINE. Kids will test and push any new teacher. And with the counties placing up to 33 kids in one classroom, order must be established first. Last time I checked, there is no class in school instructing on how to keep control of a large group of unruly children. Kids, for the most part, are not super excited about school to begin with. They are more interested in their friends and showing off for them. New teachers, learn how to keep control of your kids and encourage them to want to learn. If you don't, you'll burn out fast. Wow - great article with tons of great tips. You can tell how well it was written by the amount of attention and views it is getting even after being published for so long. Thanks, Brett! I do recommend planning on a long term basis, but it takes a long time to get there with every subject/class/grade, etc. It's hard to know where to start when you're not at that level yet. Suzette, I agree with you about custodian and secretary relationships. They can be such an amazing part of the school environment. Having some sort of transition program for new teachers would be great. I know that some people have great mentors that can make all of the different, but not everyone is that fortunate. Having a set program with more support would be very beneficial. Mr. Archer, that's great. :) Best of luck to her! Very well done! My eldest daughter is a junior in college with designs on becoming a creative writing teacher. I will pass this along to her for her future occupation. Thanks for a great hub! 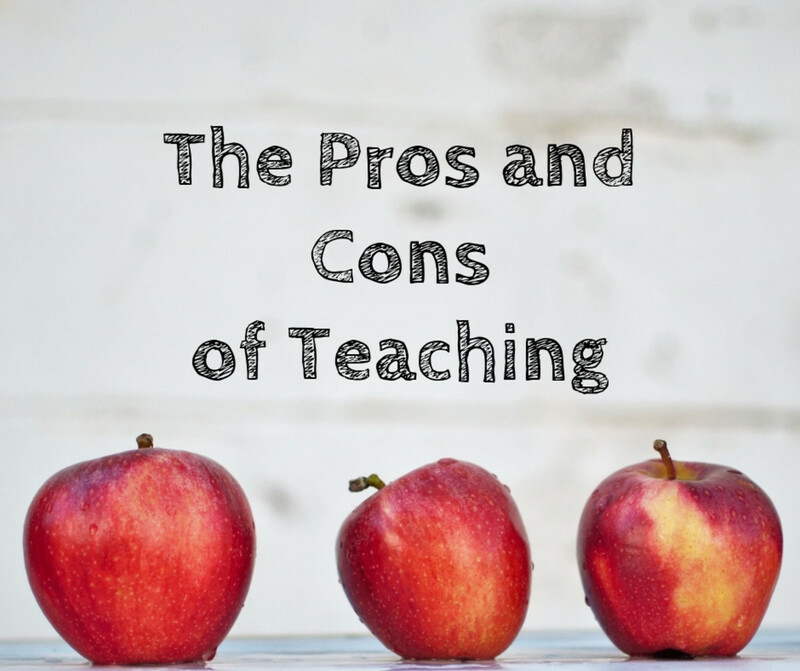 This is an excellent article on advice and tips for teachers at any juncture of their teaching career. I expecially like that you advise teachers to be on good terms with secretaries and custodians. I agree wholeheartedly - they have "saved my life" in certain situations. I am a retired teacher now, but those relationships were just as important as the ones with the principals, parents and other teachers. I'm glad to see you include them. I believe there should be a one year internship/student teaching experience before any teacher enters the classroom for a full or part time job. That way, the beginning teacher has experienced an entire year before being on their own. I know many schools have mentor programs and that is good too. But with a year internship the beginning teacher would learn about long term planning before jumping in and sinking or swimming. Very interesting and informative article. Voted up! You mention a lot of useful factors that affect life as a teacher! The planning part was a surprise for me at first, as I had never planned out an entire semester of lessons before. Shared, up, useful, interesting, pinned and tweeted. Thanks, Cyndi! I've know that you've been through all of this, too. Soooo feel ya on this - great advice, watch out for the cattiness, try to be on good professional terms with the principal, yes, yes, YES! Thanks, techygran! I appreciate the share. Love this-- so insightful and useful! I'm forwarding this to my son who is teaching for the second year and might have some additional comments to add! Thanks, Yvonne! I'm glad that so much of this advice is helpful for teachers. That is interesting about gossip and cattiness. I've only worked in elementary schools that have been predominantly female. It's too bad that male teachers can be just as bad about it. It's a long time since I was a teacher but this would have been very useful back then. Your suggestion for a long term lesson plan is a great on, as is the one on learning who to go to for advice. I was intrigued by your suggestion to beware of gossip and cattiness: I worked in High Schools, where there were many male teachers as well as female, and by far the cattiest teachers were male, and the cattiness was directed at female teachers who had achieved management level. So it's certainly not confined to a predominantly female enviroment! Yes I definitely agree. Students could definitely be learning a lot more about their chosen fields if they didn't have to deal with so many unrelated gen. eds. You're very welcome! Thanks for your input on this topic. I certainly think the money, time, and effort could be better spent elsewhere. For example, there is no doubt that my son will ever major or work in anything art-related, yet a gen. ed. art class is required. It's such a waste and shame, especially when there is so much more that could be learned in one's chosen field. Thanks again. I really wish the American college education system could be overhauled. Two years of undergraduate school is spent on general ed. classes. 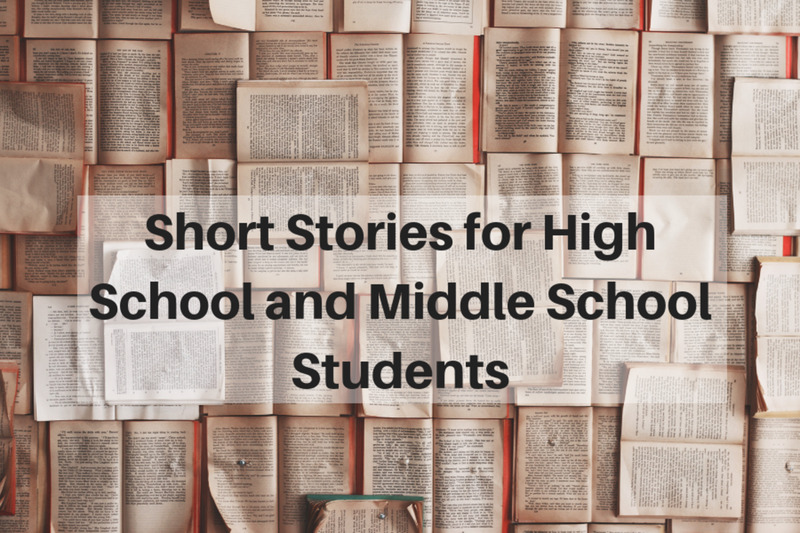 By this point most students have already been exposed to those subjects in high school. Lightening the general ed load in college would free up room for additional courses in one's major; which could easily include some more "practical" education types of programs. It certainly seems from your article that teachers could benefit from this, and I bet other majors/career paths could, as well. Thanks! I'm glad that this is helpful for you. Thanks RedElf! It's great getting to work for people who are well-prepared. All sound and sensible pointers! I substitute taught for many years, and always appreciated working for a good, well-prepared teacher. Thanks! Kids were the reason that I got into teaching and were my favorite part about it. I love children and I was surrounded my many kids as my student. That's why I choose kindergarten and elementary school. Very inspiring hub and I learn much from you. Vote up! High school students definitely need more real world skills, both for general things and for college. My husband and I have talked about this at some length. I did what I could as a teacher to give my kids real world skills. I hope to do the same with my own kids someday. you're right that the public system can definitely be cruel. Thank you! I can understand where you are coming from. You make perfect sense. I currently attend college and I an learning what I did in grade school and high school for the first year. I have thought about this before and I believe high school should apply a "life" course for junior and senior years. I was not prepared for the real world. I chose to work instead of going to college at the time and I wasn't prepared. It would have helped me out a lot if I knew what I was getting into. Even though I knew what would happen, I didn't have a clue as what to expect. I believe you and other teachers are heroes. The public system can be cruel. I commend you and the others for what you all give to our children. Voted up. I'm glad that it isn't just me! I'm glad that you've never experienced burn out. I think that in a better structured school or district with more support, I would enjoy it more. There were a lot of things about my last district that really didn't make teaching a lot of fun. Thanks! Too true! I've been saying much of the same thing for years. Luckily, I never experienced "burnout." I really had fun teaching, and I miss it. Voted up! Yes, I definitely agree. The skill set requires continues to grow every year as teachers are expected to do more and more things that parents and social workers should really be taking care of. Having done it for 4 years, I fully understand why so many people burn out on it. This is excellent advice. Being a public school teacher has got to be one of the most difficult professions. There are so many skills to master and so many different people you have to work with. It's great when you have a good student teaching mentor like that. I'm glad that she familiarized you with a lot of the real world responsibilities. Committees would be another great topic to add to this hub. Very infomative hub for those new to the teaching profession! I was lucky enough to have an excellent mentor during my year of student teaching. From meetings to grades, she forced me to do it all (and I'm glad!) I must admit that I wasn't prepared for all the darn committee responsibilities though. Thanks so much Robin! The printout sounds like a great idea. It's wonderful to have the kids involved in the process like that. You're right that it's so important for all parents to hear positives and areas of improvement. Iowa still doesn't have state standards, and my previous district didn't stress tying in district standards with lesson plans. However, I know lots of teachers in other states that follow your example with the standards, which is a very effective method. Wonderful advice! One thing I always did with my conference is have a printout in front of me for each kid on specific points that I wanted to make. I always started with the wonderful things I was seeing with each child, then moved on to areas of improvements, and ended on a positive. (Even the highest achieving kids have areas of improvement and the most troublesome kids have positive marks. Parents of troublesome kids are constantly inundated with the negative. It's nice to hear positives as well.) In our school, students were involved with the process, so I could ask them, what they are most proud of and areas they could grow. I thought it was extremely valuable. Another thing I created was a lesson plan book that had all of the district standards in the margins. I would list which standard I was teaching for each time slot/lesson. It was a great way for me to be mindful of what needed to be taught throughout the year and to stay on track. 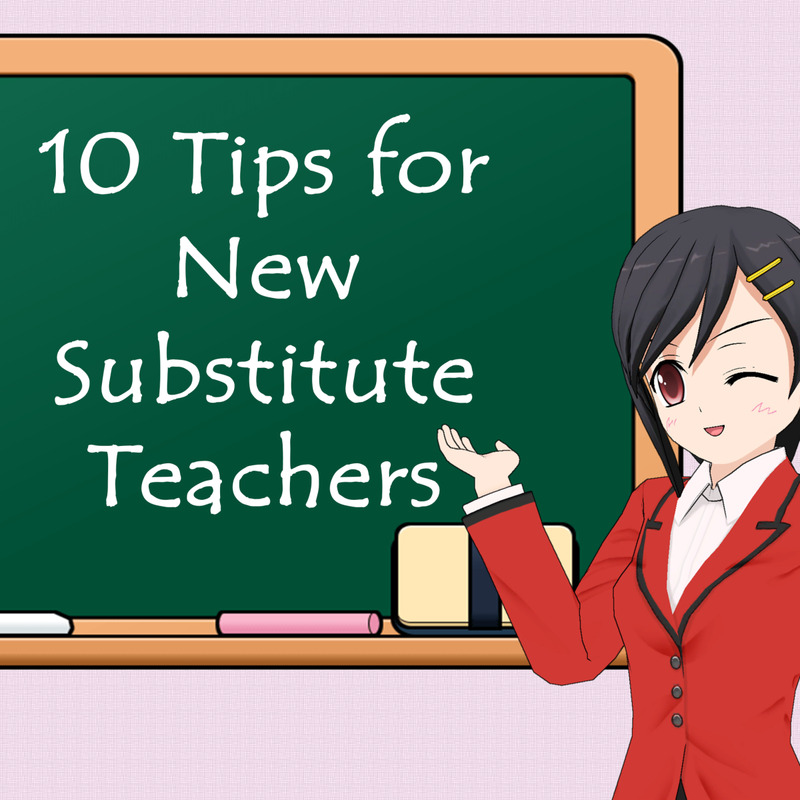 This guide will be extremely useful to new teachers! Your students are lucky to have you! Thank you so much Beata! It's always great to know that people are reading these hubs. I wish that there were more of them out there, but I'm doing what I can do get my insight to the teaching world. Thanks! Yes, making friends with your custodian is SO important. I will add that in tomorrow. Like the secretary, the custodian can be a great resource for all sorts of supplies and issues. Classroom management can definitely be an issue, too, especially for urban settings and special education. Honestly I don't know how much concentrate advice I can give for this issue, particularly because different settings can vary so much. I agree about the lack of training, though. EXCELLENT advice! I would also add to make friends with your custodian. You never know when a kid will get sick in your classroom and you want to get that cleaned up as quickly as possible! 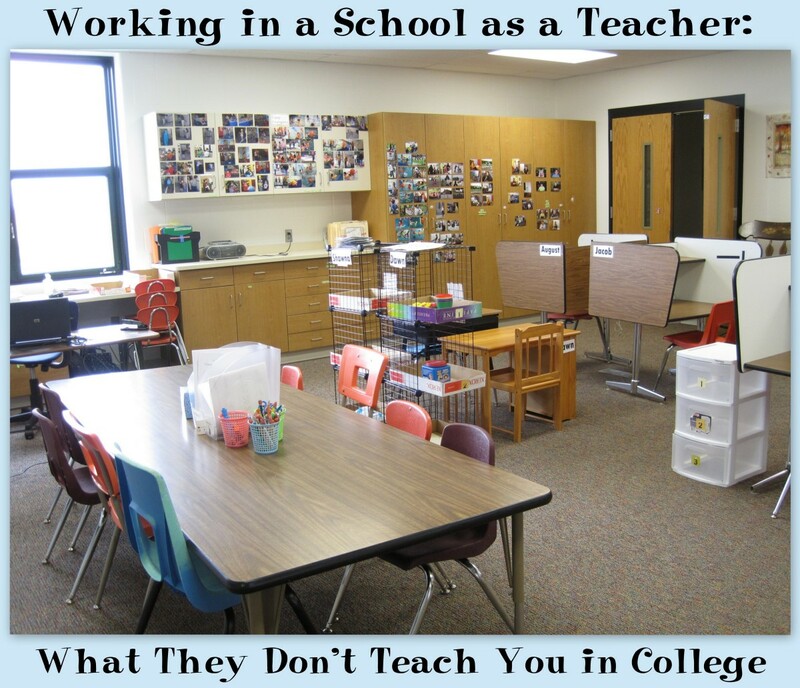 I also think another area lacking in my training was "realistic" classroom management. I did have this in one of my courses however, it was with "ideal" students. I was not prepared for teaching/managing students in an urban district. This is a VERY different approach/experience. Great job!